Using hollowfibre insulation to offer ultimate levels of warmth, the Flexitog Maxim Men's Flip Top Mittens FG625 use a special mitten design to keep the fingers extremely warm while the fingerless underglove keeps the mitten in place. This combination provides both warmth and comfort, while the dual thickness construction helps to ensure that the user stays safe from mechanical threats. The Flexitog Maxim Men's Flip Top Mittens use a unique flip top design that offers mitten style warmth over a glove liner that provides great flexibility. This makes the mittens ideal for use outdoor in dexterous applications, while their canvas construction looks to ensure that the user stays safe during use. 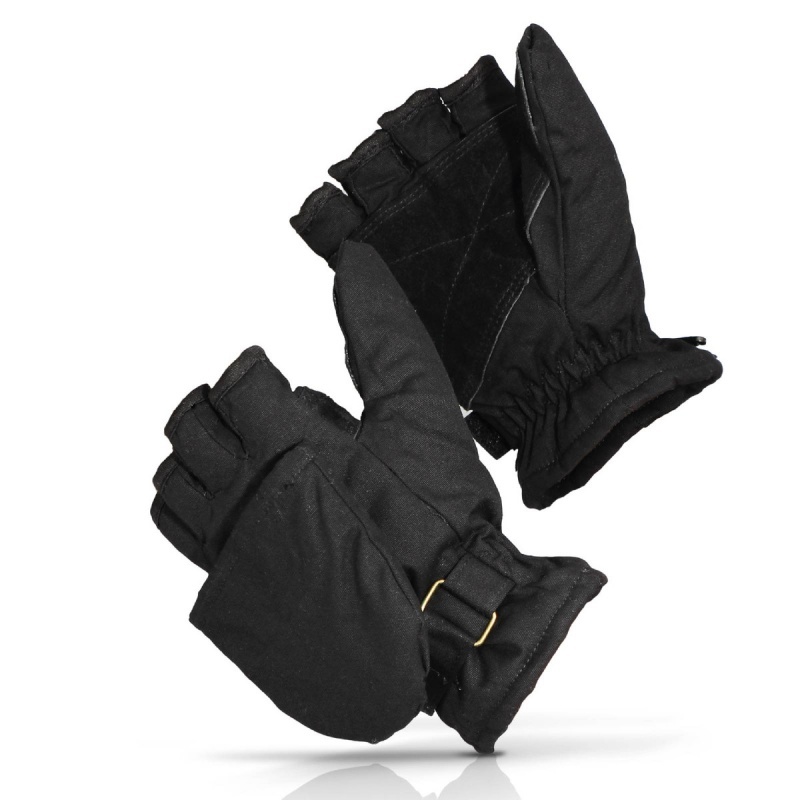 The Flexitog Flip Top Mittens are available in one size that should be suitable for most users because of the adjustable strap. To find your perfect pair, please measure the circumference of your palm and match the results to the table below.